Now is the time to update your outdoor space. It’s warm, the outdoor vibes are flowing… And, unfortunately, exactly what you know to be missing from your patio is ultra-obvious right now. Your patio is just waiting for you to create, purchase, and upgrade. Sound like you? If so, and you are looking to update your outside space, don’t forget about the patio door! All too often, homeowners here in the GTA and surrounding areas focus on the deck and patio furniture, the plants, and garden—while the patio door goes unaddressed. You can make your patio space as picturesque as you want, but an out-of-date patio door will become an eyesore. Decide: you or the contractor? For the DIY-minded, it can be difficult to hand over the reins to another person. So, decide now whether or not you have the skill, tools, time, and confidence to install or replace your own patio door. Be honest. You don’t want to star in your own reality show of “renovation failures.” If you know you need a professional, call our team and let us handle the project for you—from measurements, to clean up, to the finishing touches of the install. There’s a lot on the market right now and regardless of where you live, you definitely want to be mindful of the elements you deal with most. Here in Canada, we obviously deal with snow and extreme cold, often. So, be sure your patio door will fare well. A note: vinyl stands up to extreme weather conditions and is very easy to maintain. Do you prefer fancy or casual (i.e. : French doors or a simpler look)? 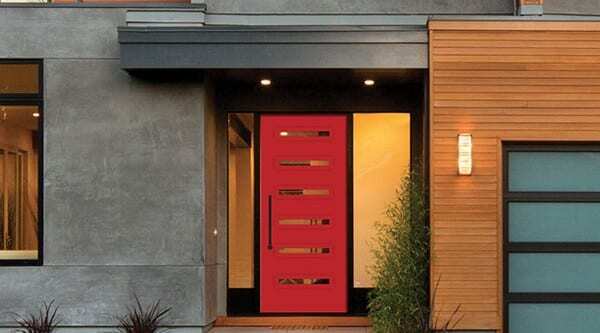 Sliding doors or swinging doors? How much space do you have and which side of a wall do you want the door? What colors work in your home? Do you want the style of your patio door to exactly match your windows? Do you have space above the doors to add transom windows? Don’t allow yourself to overlook the patio door this season! 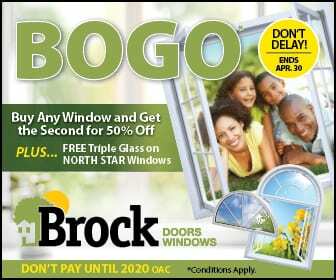 Call our team here at Brock Doors and Windows so we can help you complete your outdoor space. You deserve to have the exact “summer vibes” you crave for your outdoor space and we can not wait to assist you! Need more information? Looking to add windows to your home, too? Call us anytime or stop by our showroom. Your summer patio awaits!